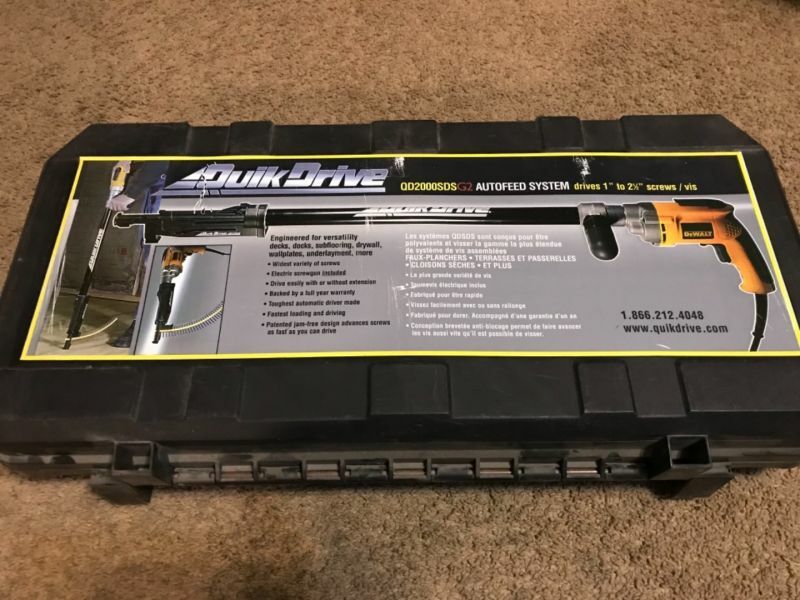 QuikDrive autofeed driver system for collated screws. 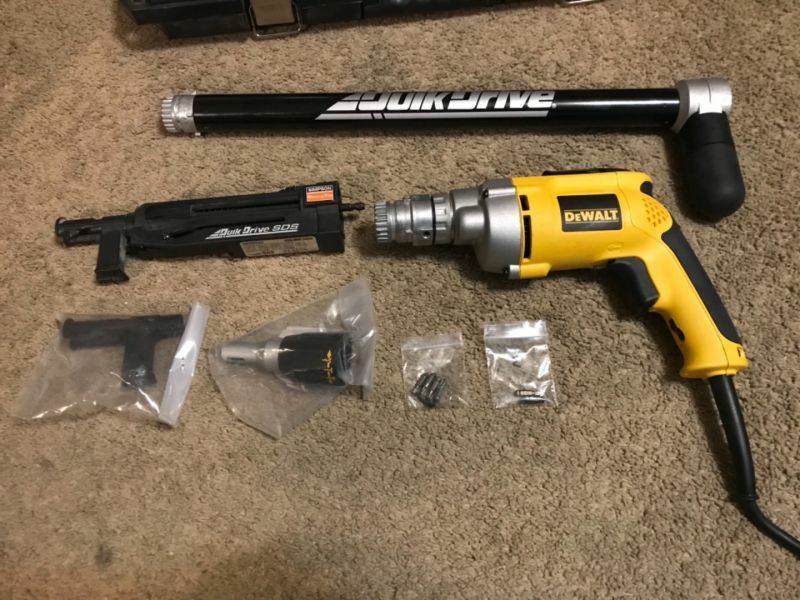 Dewalt drill and Simpson Strong Tie System. 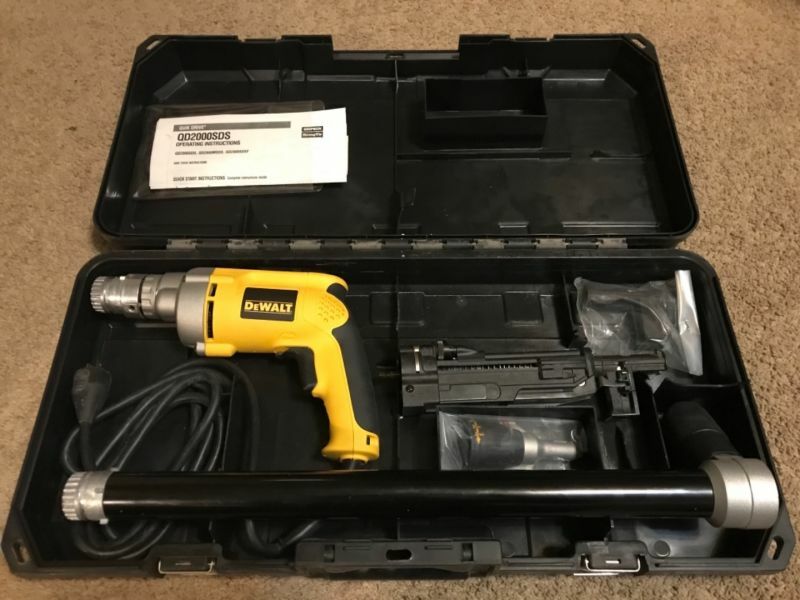 Collated screw strip head (2 heads), extension handle, drywall head, and drill. Only used on 1 job!